Come join us for the annual Golden Care Chanukah event. Enjoy a wonderful sit-down lunch as we celebrate the start of Hanukkah! We will light the menorah and shmooze with old friends and make new ones while enjoying the fabulous voice of Cantor Gaston Bogolomni. Shalom! I'm married with a young child. My wife and I are in a very difficult place financially. We are in desperate need of money to cover every day expenses. We've exhausted nearly every resource available to us and are running out of options. I'm not asking for donation, I'm asking for work. Please, if you have anything that most to be done kindly let me know. I can do anything. My email is: stony.brook@yahoo.com Thank you! Please join Temple Beth Sholom for a Shabbat Retreat - Find Peace and Harmony in an Unsettled World featuring Rabbi Sheila Weinberg. Rabbi Weinberg has studied mindful meditation as a way to enliven Jewish practice, ideas and community. She has written extensively on Jewish spirituality, social justice, feminism and parenting. Learn more about Rabbi Weinberg at www.SheliaPeltzweinberg.com Please join us and welcome Rabbi Weinberg for this very special Shabbat Retreat on December 1-2, 2017. For more information and to register online please visit www.tbsmb.org or call Buffy at 305-538-7231 for more information. Join us to hear about the white supremacist movement in Florida and around the country from David L. Barkey, ADL's Nation Freedom Counsel. This event is intended for professionals ages 22-45. PJ Library wants to help you host a Chanukah gathering! Designed to help build social connections and inspire Jewish life and learning, PJ Library Get Together Grants will give PJ Library members up to $150 to create and host a Chanukah celebration or other Jewish-inspired experience during the month of December. Applications will be accepted Wednesday, November 29 to Wednesday, December 20. Click here for more information and to apply. PJ Library is a gift from the Greater Miami Jewish Federation made possible by the Harold Grinspoon Foundation and the Blank Family Foundation. The Greater Miami Jewish Federation is now accepting applications for 2018 Need-Based Jewish Overnight Summer Camp Scholarships for children between the ages of 8 and 17. 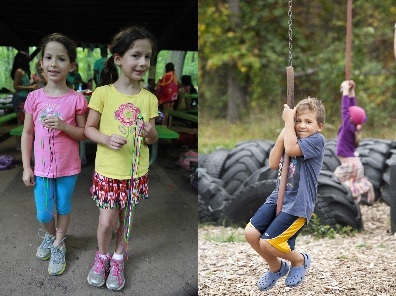 This is the 16th year Federation is offering need-based scholarships to Miami-Dade County families to help make Jewish overnight summer camps more affordable. Application deadline is Wednesday, January 31, 2018 at 11:59 p.m. Late applications will not be accepted. Binyumen Schaechter is the composer of music for five shows that ran off-Broadway, the Conductor of the acclaimed 40-voice Jewish People’s Philharmonic Chorus / JPPC, and was the Musical Director and Pianist of Avi Hoffman’s Too Jewish? for the duration of its original 18-month run in NYC. A Breed Apart: Reflections of a Young Refugee, published by YI Press (a division of Yiddishkayt Initiative, Inc.), is an engaging non-fiction tale of war and survival, seen through the eyes of a young Miriam Hoffman and her father. Hoffman’s personal tale captures the beauty and importance of keeping the Yiddish language and Jewish culture alive during the twentieth-century, despite countless attempts to destroy it. This intellectual and emotional journey describes Miriam Hoffman’s experience as a young refugee girl growing up in a post-war DP (Displaced Person) refugee camp in Ulm, Germany, after the destruction of World War II. Hoffman’s son, Avi, is a multi-talented actor, director, comedian, singer and Jewish cultural activist. Together, they will be reading selections from Hoffman’s book. The evening will also include a discussion, Q&A and book signing. Join Greater Miami's Jewish Young Professionals for The Tribe's Annual Vodka Latke. This year we will be celebrating Chanukah on the rooftop at Penthouse Riverside Wharf. Dreidel Lounges presented by The Law Firm of Anya Cintron Stern, P.A. Tickets only $36!!! $45 after Tier 1 allotment sold out. $60 at the door. Chai Tribesters complimentary. Thank you to our sponsors Mendez Babani Law, RedBike Studios, Bliss Dental & Miami Beach Smiles.